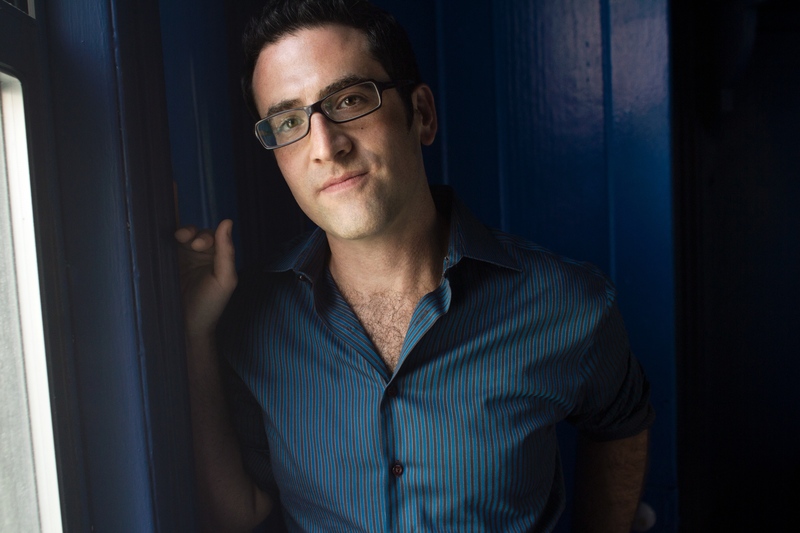 Writer, director and performer Ben Rimalower knows a thing or two about high belting. No, he’s not a singer per say, but he does appreciate the finer belts in life — including those of Broadway icon Patti LuPone. As the writer and performer of his acclaimed and award-winning one-man show, Patti Issues, Rimalower has turned his obsession with the high-belting La LuPone into a personal artistic high point. Patti Issues isn’t just a show about diva obsession — it’s an onstage self discovery about finding your inner LuPone, as it were, to overcome seemingly insurmountable obstacles. In Rimalower’s case, it’s a closeted, self-destructive father who went on a drug-fueled tear that left his family in tatters. And the payoff in telling such a deeply personal story has been huge. The Village Voice called his show, “one of the best (and now longest-running) offerings of the year.” And The Advocate called it the “best NYC theater of 2012.” Even LuPone herself caught the show and gave it her enthusiastic thumbs up (you can even watch her commend Rimalower when they both appeared on Bravo’s “Watch What Happens Live“). And following an extended run at The Duplex in Manhattan’s West Village, Rimalower is taking his show on a self-professed “rainbow tour,” with a two night only performance on June 13 and 14 at Mary’s Attic up in Chicago’s Andersonville neighborhood. Anyone who’s spent five minutes with me knows what a huge LuPone fan I am, so it was only a matter of time that Rimalower and I crossed paths at some point in our early fandom. In fact, back in undergrad, in response to there being no discernible online presence for the diva, I created a now long-defunct “Patti LuPone Shrine” on geocities (remember geocities?) which Rimalower freely admits to frequenting. What are three words you’d use to describe LuPone? 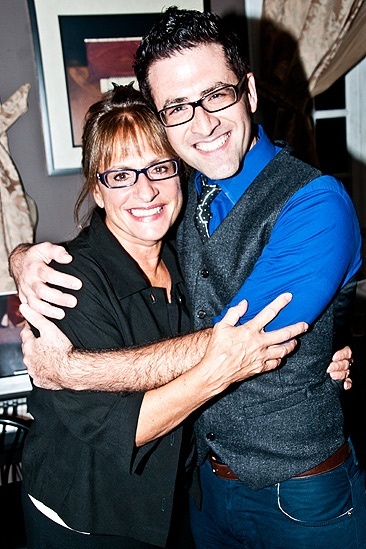 Has your affection for (or perception of) LuPone changed now that you’ve gotten to know her at a face-to-face level? Not at all. Patti is everything I dreamed she’d be. What LuPone recording do you keep going back to? In other words, this LuPone track on your iPod never fails to get your heart pumping. Well, I have to say “Far Away Places” is my favorite Patti album—SO FAR! That opening track, “Gypsy In My Soul” is so exciting that I belt along with it to warm up for my show. I understand you’ve had many opportunities to observe LuPone in the rehearsal room. What lessons have you learned from this “fly on the wall” perspective about your craft as an actor/director? Wow, so much. I mean I could write a whole show about Patti in a rehearsal room—two shows, actually: one on the artist and one on the personality. Patti has a deep understanding of her craft as an actor and killer instincts as a performer — and theater is in her blood. What is the rarest LuPone recording you have in your collection? The rarest Patti LuPone recording I have is a bootleg I made myself on a crappy tape recorder of her concert with the Baltimore Symphony in either Fall 1998 or Spring 1999. Her arrangement of “Let’s Face The Music and Dance” was so sassy I had my musical director lift it when I was directing Joy. Also, it’s fun to listen to me and my best friend Marissa commenting on everything Patti did. Live-tweeting before there was Twitter. LuPone: You either love her or hate her. Do you think that you can make a snap judgement about someone’s character based on if they love her or hate her? Has this impacted friendships you’ve had? Totally. I think that anyone who hates Patti LuPone is either a moron, or hasn’t seen her at her best. Or maybe they have their own issues. No, but I would have! I’ve watched many unwatchable things for the love of LuPone! And I will watch Parker. I’m still burning for the 3 hours I sat through “Bonano: A Godfather’s Story” before realizing she’d been cut out! Now: to your show — what compelled you to write it? I’ve been a director all my life, but I’d started blogging and wanted to explore writing something more longform. The most natural subject for me to tackle was, of course, Patti. Then, when I started writing, what was coming out was more about me. Did you ever think your show would become such an underground success? How has this changed your life? Do you have any other one man shows up your sleeve? I hoped Patti Issues would be the success it has. I’ve been craving this more a long time, longer than I even realized. This has changed my life in many ways—and in many ways, my life is exactly the same. The biggest and most important change is my confidence in myself as a writer. I am working on my next solo show already. Will I cry watching it? You may cry. I certainly hope you will laugh! What was going through your head performing this show in front of your muse, LuPone? I was praying that she would like it. “Patti Issues” plays June 13 and 14 at Mary’s Attic. Get tickets here.